Wrekin Windows has worked successfully with Dudley Council since 2012 to help improve energy efficiency in their existing housing stock, providing ‘A’ rated PVC-U windows to Council properties. Through their contract with Plastal, a sister company in the Epwin Group, which started on 1 December 2012, they have manufactured and supplied more than 35,000 windows for Dudley Council properties. Dudley Council has been at the forefront of many initiatives, both within its own and also privately owned properties, to help improve energy efficiency and get people out of fuel poverty. They have fully embraced the Government’s drive to eradicate fuel poverty which has long been a key focus, particularly with increasing energy costs over recent years resulting in more people falling into the band of fuel poor households. A fuel poor household is one which needs to spend more than 10% of its income on all fuel used to heat its home to an adequate standard. A household is considered to be in fuel poverty if they have required fuel costs that are above average and, were they to spend that amount, they would have a residual income below the official poverty line. 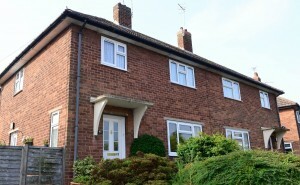 The energy efficiency of a property is a key area in which Dudley Council can have an impact on reducing fuel poverty. Fuel poverty affects some of the most vulnerable people in society and has other effects on those people and resources. Living in a cold home can be very damaging to physical and mental health. Older people are at particular risk of health problems, but children and people with disabilities or illnesses are also vulnerable. Through continued investment in their housing stock, they can maximise the impact on fuel poverty and poor health, as tenants are more likely to be vulnerable to fuel poverty. Research in 2005 identified that 75% of people were unaware of the assistance available to them, so one part of Dudley’s approach has been to inform and provide essential help to many residents who may not otherwise have received it. Their practical focus has been on replacing old, inefficient windows with new, energy-efficient PVC-U windows that retain more heat in the property, reducing the amount of energy required to generate that heat. Tackling fuel poverty is an integral part of the Dudley Council Housing Strategy 2013-2016. The Council invests around £35 million per year to improve and maintain its housing stock and has created the accredited Dudley Home Improvement Service to assist older and more vulnerable people to improve their living conditions. 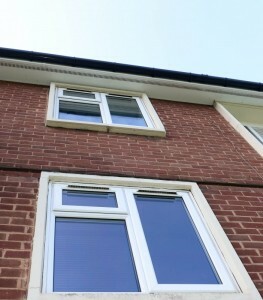 Wrekin Windows has played a key role by supplying windows with high energy efficiency. Around 23% of the heat lost from an average home occurs through the windows, so energy-efficient windows can help make significant savings. The efficiency of windows is measured by the Window Energy Rating (WER), with ‘C’ being the lowest and ‘A++’ the highest. Wrekin is supplying windows in the highest band, with an ‘A’ rating. Wrekin has specialised in supplying windows for social and affordable housing for over three decades, therefore has substantial experienced of working closely with Councils and local authorities. Offering a full contract management, supply only or supply and fit service, they are flexible and will work in the way that best suits the contractor. Part of the service they offer is engagement with residents to ensure that projects run smoothly. On this project, Dudley Council carried out significant engagement with its residents to ensure their needs were taken into account, and the contract was for supply only. This was consistent with the Council’s investment strategy and procurement processes, to encourage the use of local labour, thereby contributing significantly to the local economy. Wrekin is pleased to be contributing towards a project that is making a real difference and looks forward to continuing the relationship with Dudley Council to help reduce fuel poverty further and improve the well-being of its residents. Plastal is a member of the LHC, which is a leading not-for-profit purchasing consortium that provides best value public sector procurement solutions for the construction, refurbishment and maintenance of social housing and public buildings.